The past few years, I have been blessed to visit many beautiful cities like Zurich, Berlin, Munich, Kathmandu, London, Bali, Yogyakarta etc. My only regret is that I didn’t I schedule time after every trip to capture the fun I had in words. This year, I told myself I’ll spend a few hours to write “10 things we did in…” series. I was quite confused. 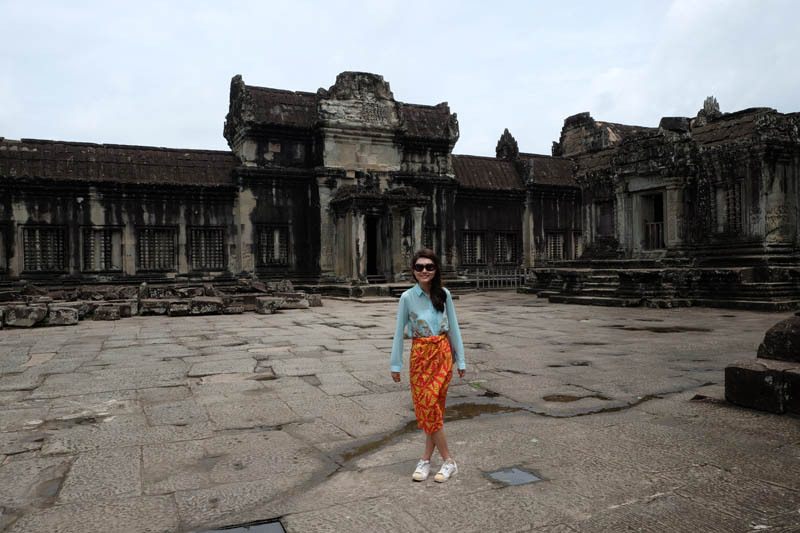 The temple is so huge you need three days to explore?! 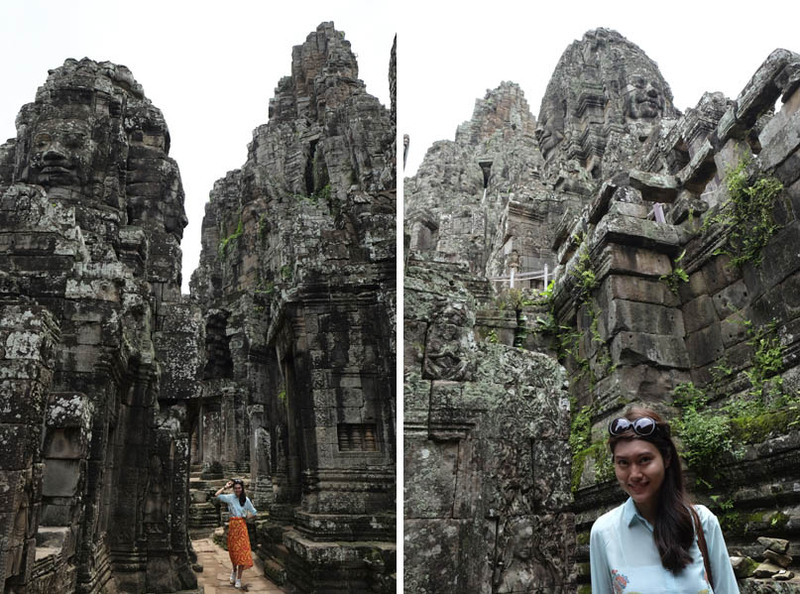 Then I realise Angkor is a huge land with different temples scattered on it. 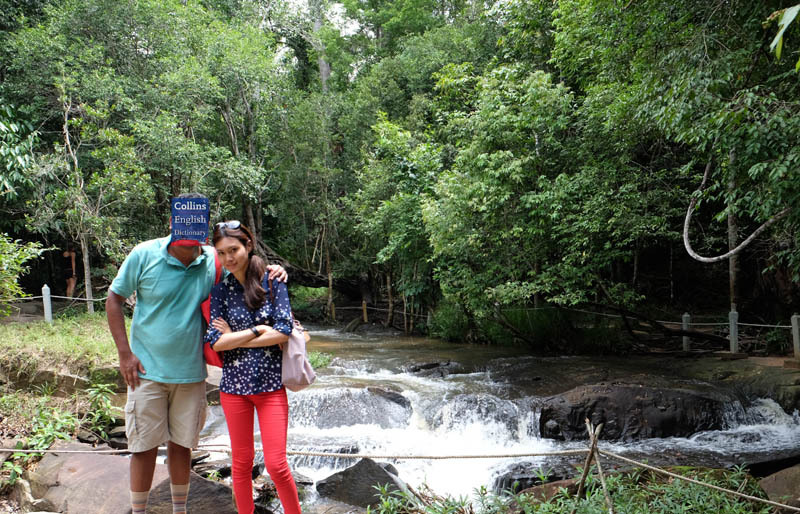 Imagine Angkor as Petaling Jaya, and we’re going to Damansara Utama for one Temple and SS 17 for another. Good analogy eh? 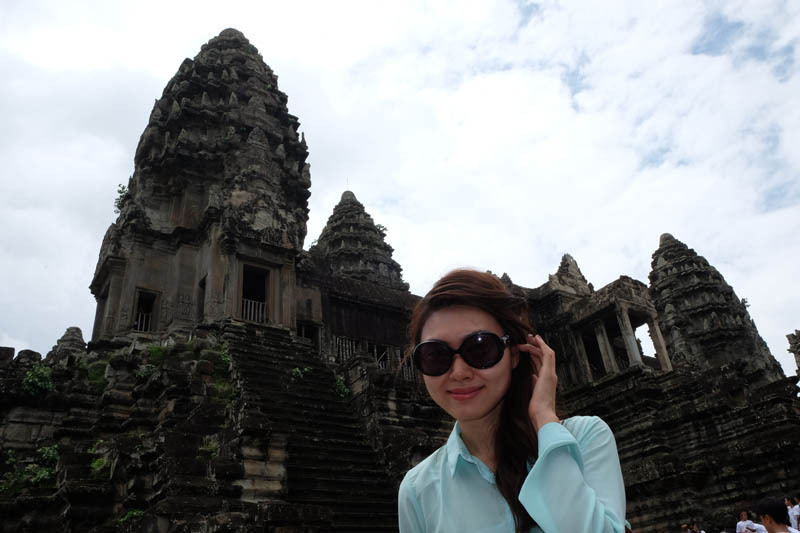 Angkor Wat is the main attraction and the most popular temple in Siem Reap. Naturally, tourists flock to this place. We woke up at 4.30 in the morning to watch sunrise by the pond. 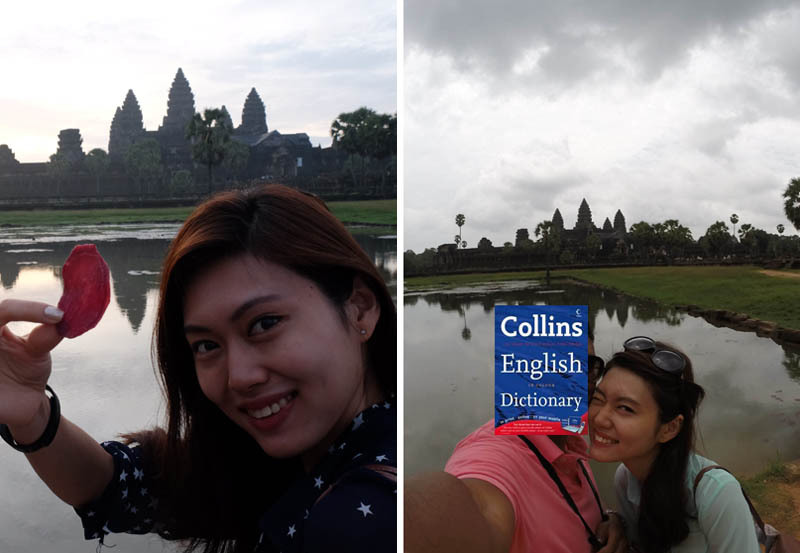 By then, it was already crowded with tourist. 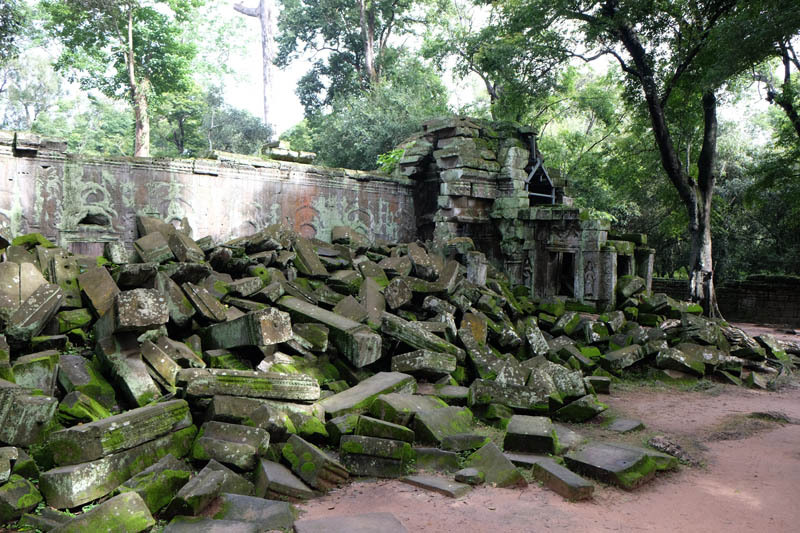 This is the temple where Tomb Raider was filmed. I like how part of the temple still exhibit ruins to show how it was like when the temple was discovered. My favourite temple of all. There are many funny faces made from carved rocks. 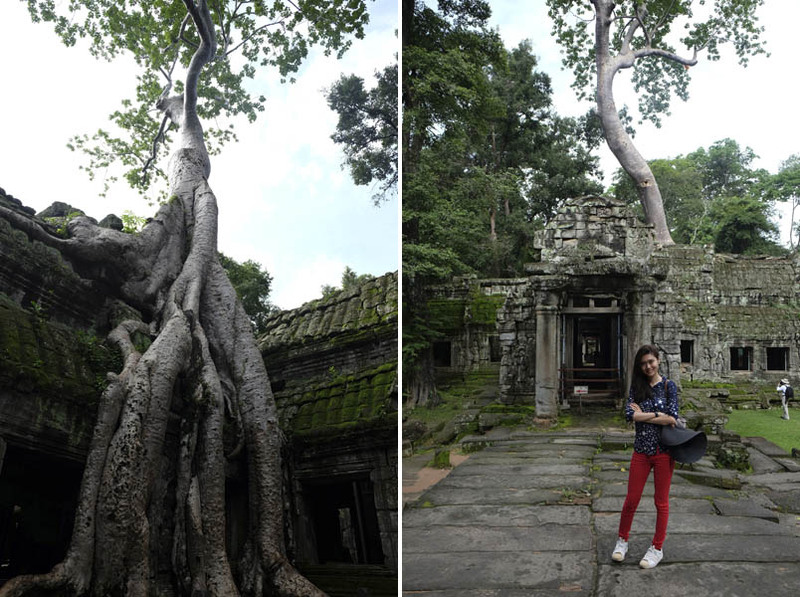 Oh, remember to wear long pants if you want to climb up to Angkor Wat. They don’t permit shorts and the sarong that I wore won’t do. Most visitor will give this place a miss. 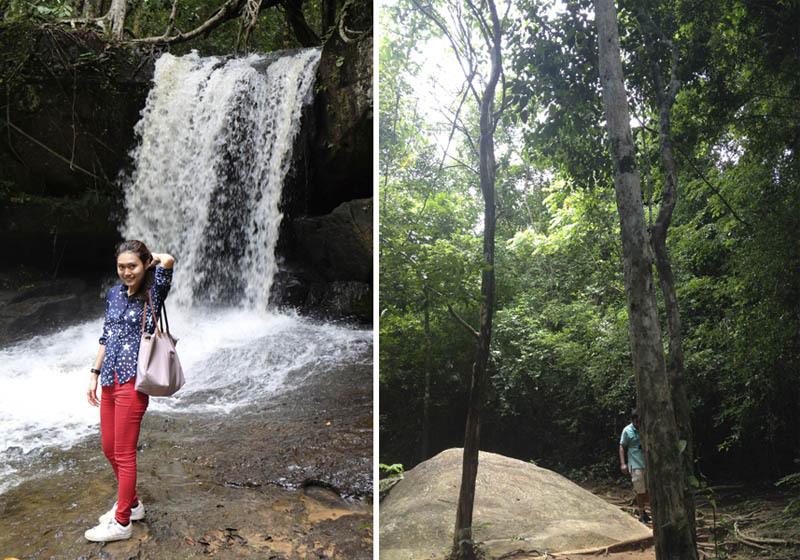 It’s rather far from Angkor Wat and requires you 2 km climb uphill. 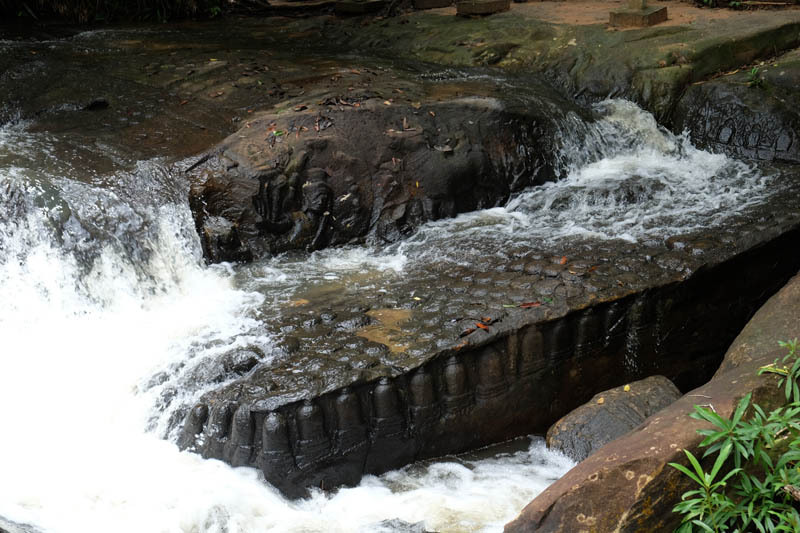 There are no temples but you’ll be amazed of the intricate carvings everywhere – rocks that are on the surface as well as under the bed of river! 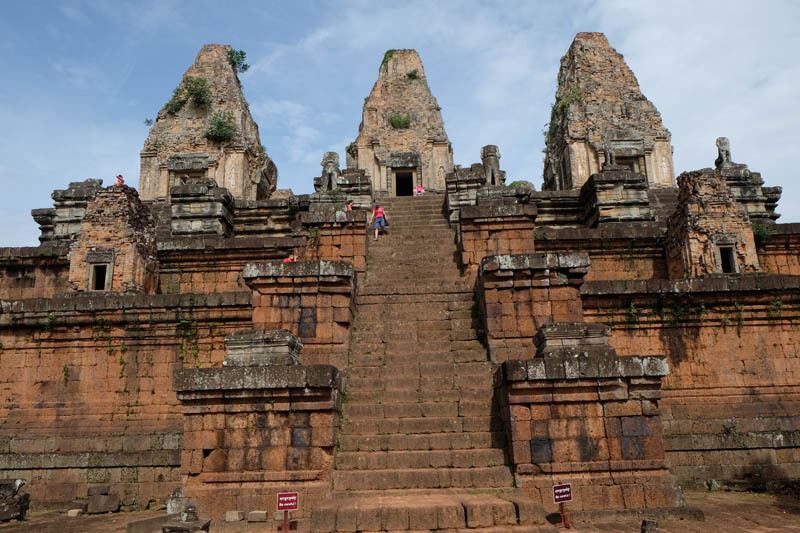 If you enjoy historical structures, you wouldn’t think this is yet another temple. The material is redder than the rest and the carvings are the most intricate. 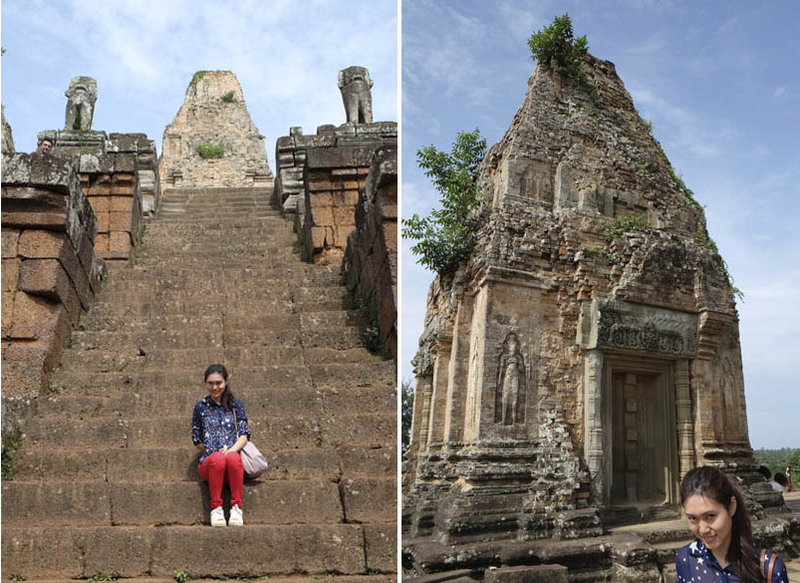 Historians believed this temple is carved by women. I’m not sure how they come to this conclusion, but let’s hope they are not being sexist as surely men can carve as well. This temple has the steepest steps. 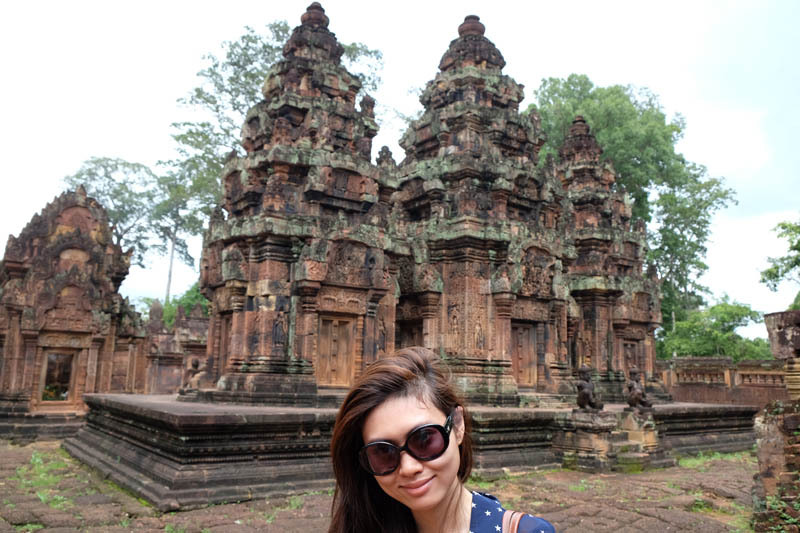 When I was in Siem Reap, I was fascinated with the Cambodian culture. 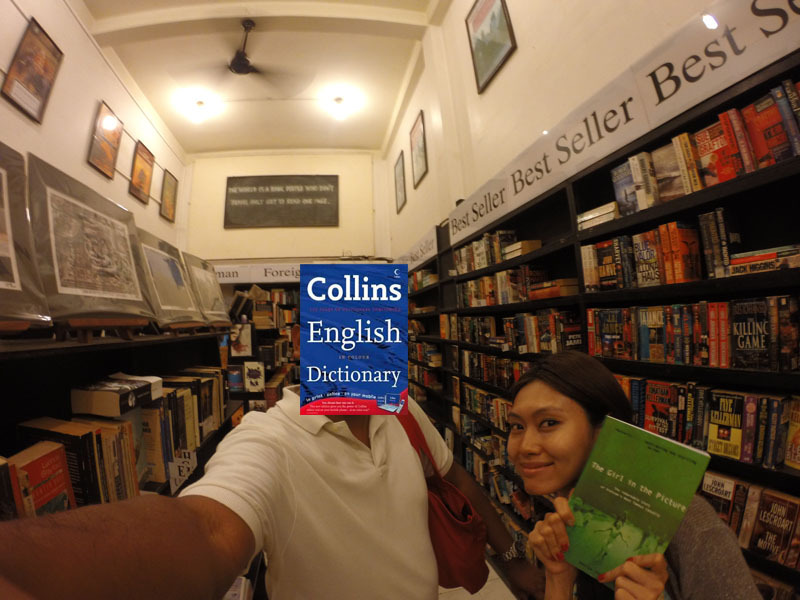 Perhaps I don’t know about the khmers as much as I do Thai, Korean or Chinese for example. 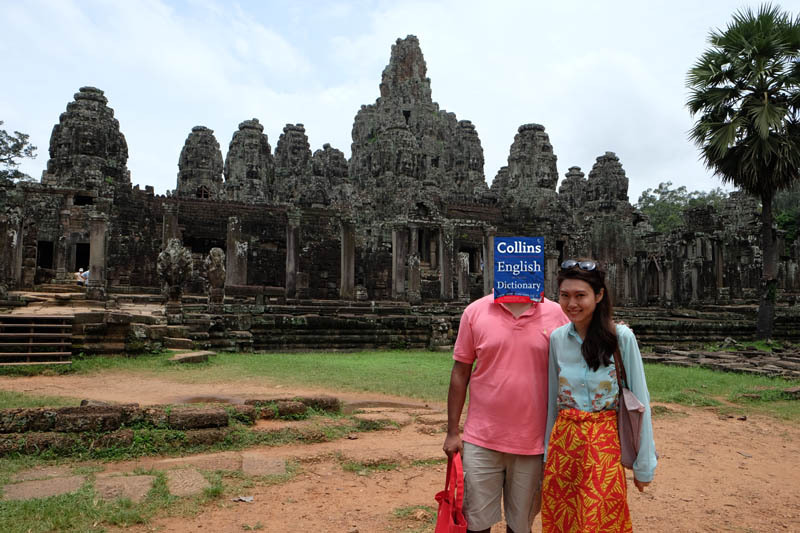 So we had a lot of fun discovering their history, culture and art. 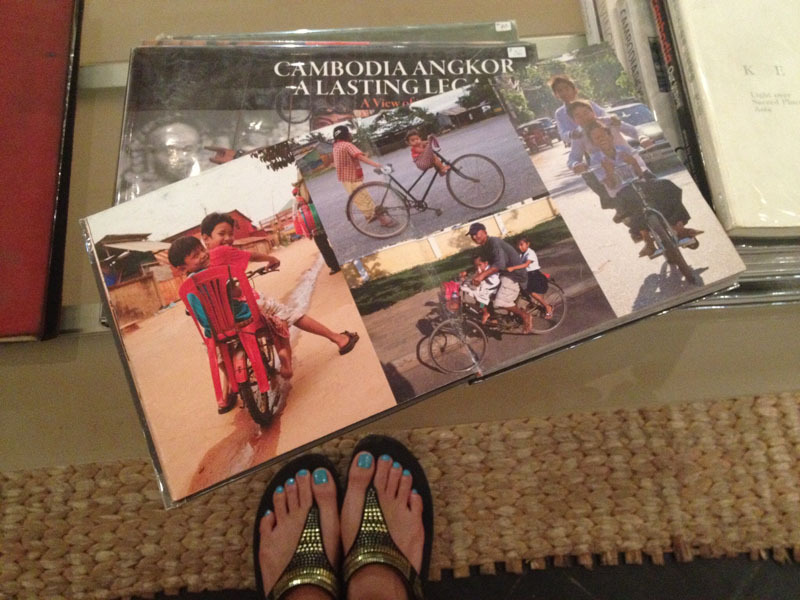 I particularly like this coffee table book “Carrying Cambodia”. 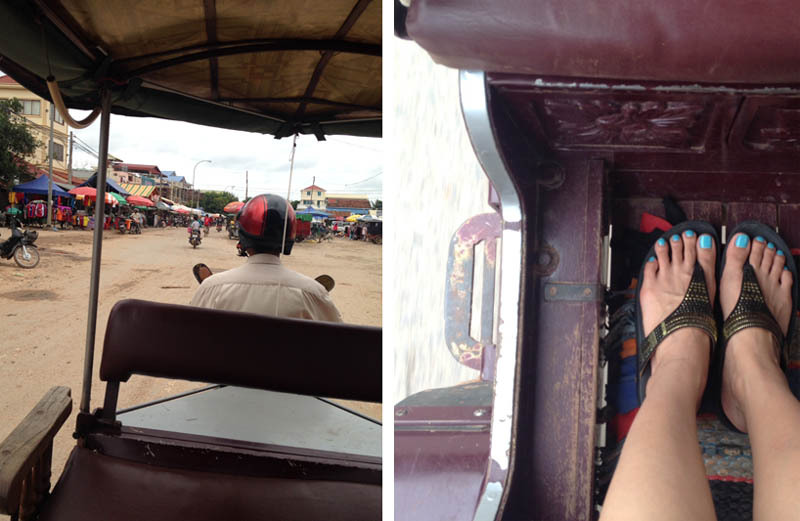 It shows how Cambodian transport everything on a bike. 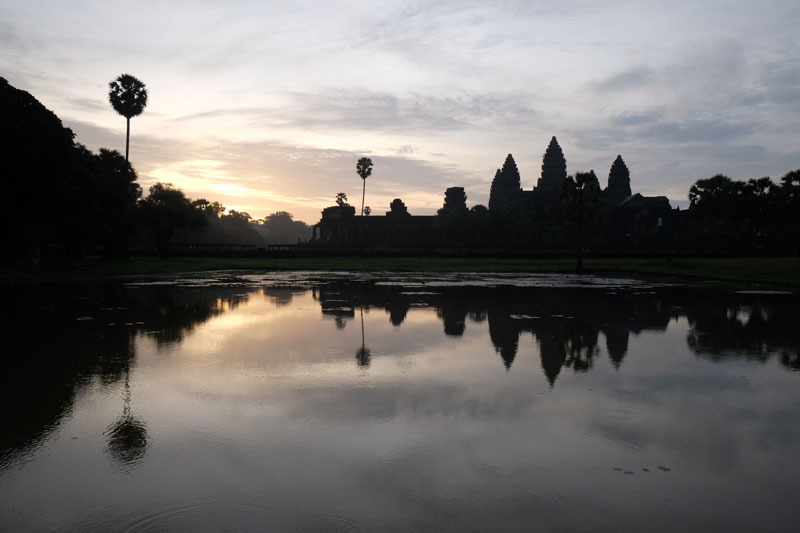 We learned a lot about Hinduism and Cambodian’s history at its glorious era. I like King Jayavarnan VII, the most compassionate King who built about a hundred hospitals for his people. My favourite story is about Ganesha, a boy made from turmeric, killed due to his obedience and resurrected. I’ve been to a few good museums such as Lourve and rijksmuseum. Surely didn’t expect much from a museum in Cambodia but I was pleasantly surprised on how well it was build and presented. Unfortunately, we were not allowed to take photos here. I think it’s a huge marketing mistake. 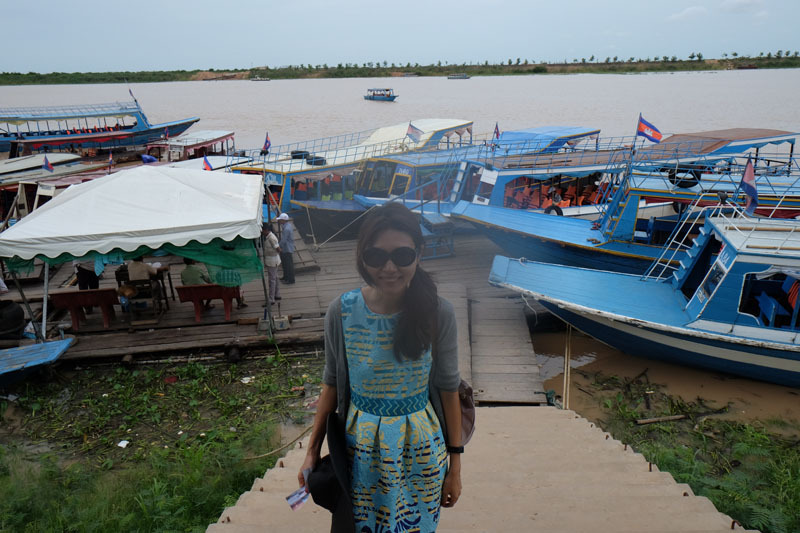 We took Tara Riverboat, a tour company recommended by our hotel. 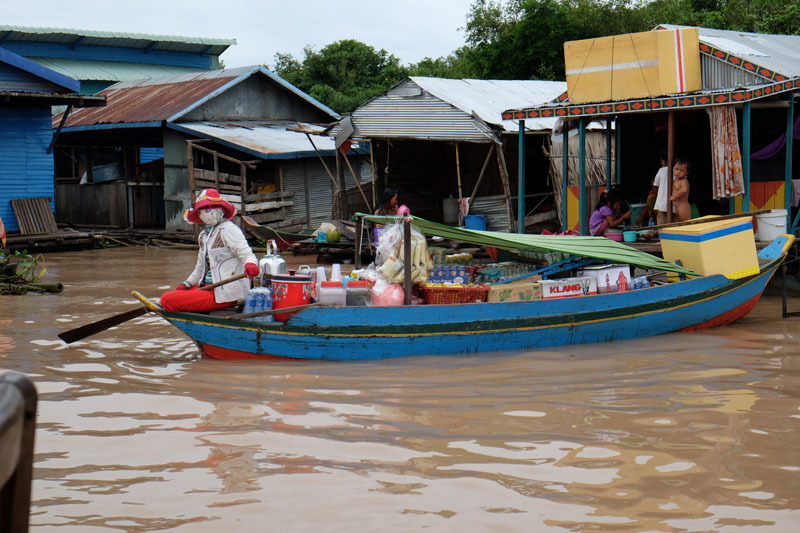 A tour guide arrived in our hotel, took us to a dock at Tonle Sap and led us into a motorboat. 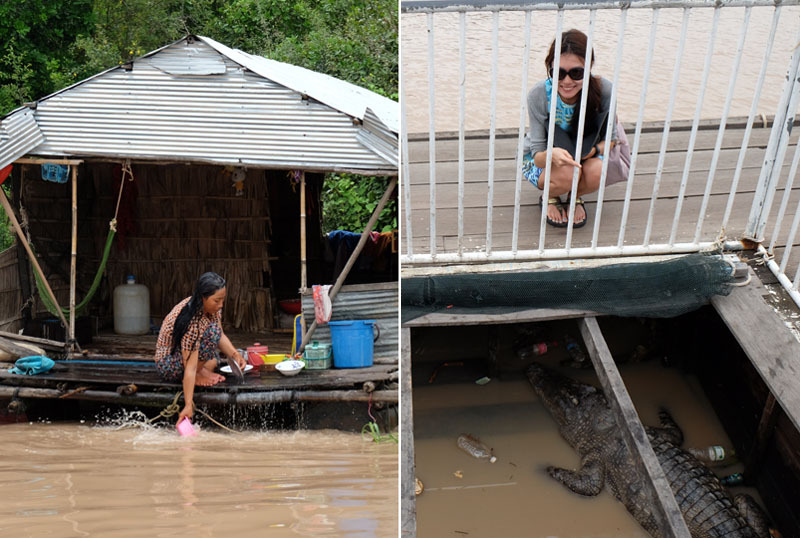 We stopped by a few places – see Crocodiles and have lunch. We ordered fish amok – arguably the most popular Cambodian dish – at every meal. So we learned how to make it! 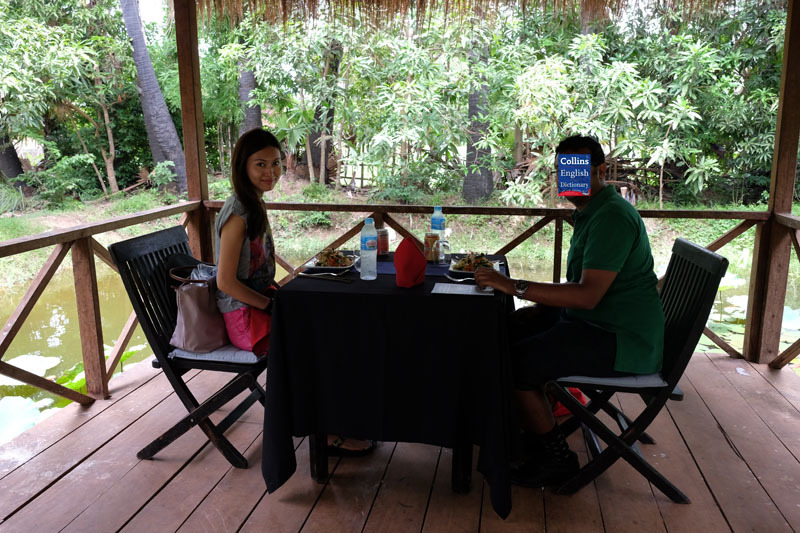 One of the more unique dining experience I’ve had. 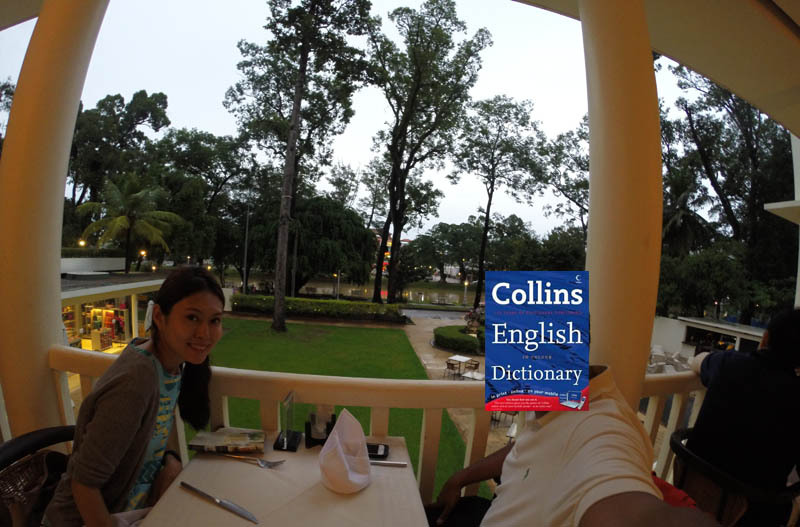 We sat on a swing, with our leg extended under an elevated tray. 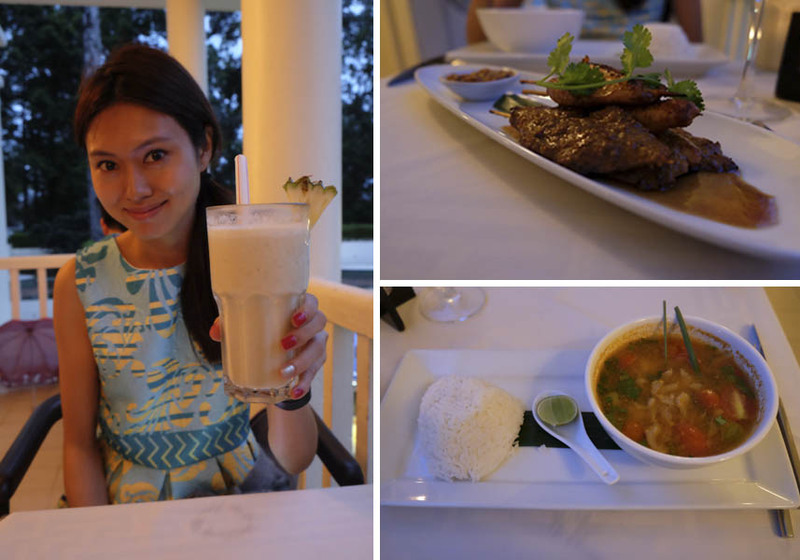 Menu included local grilled vegetable, beef skewers, sour soup, fish amok and my favourite Cambodian dessert – pumpkin custard. 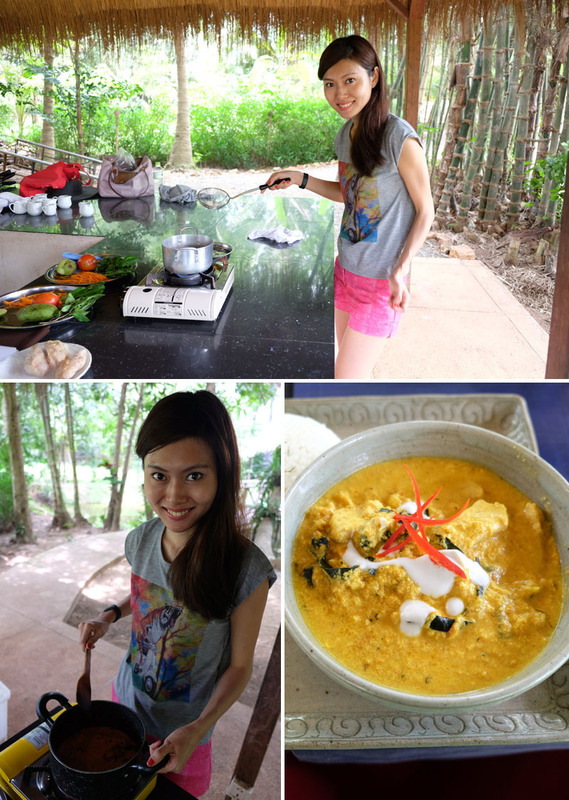 We visited a local family before our cooking class. They have no electricity and no pipe water supply. 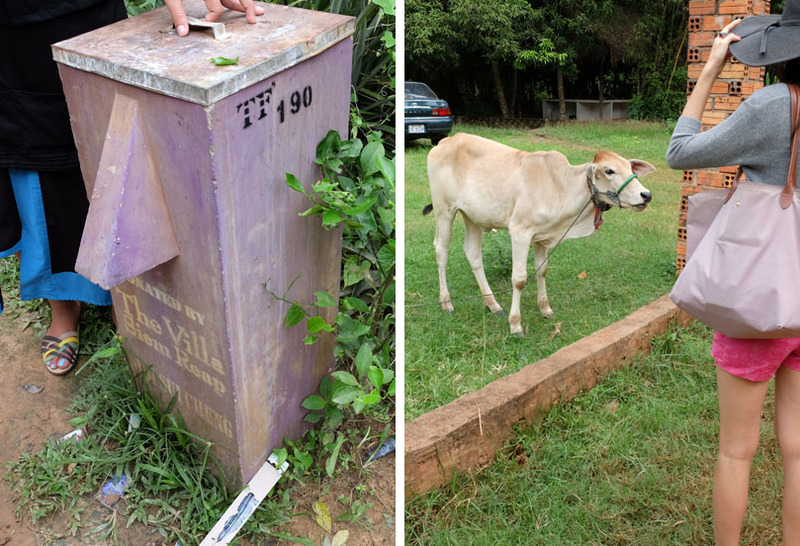 Each family has a water well and an old-fashion water filter. Boy, getting drinking watery to cook is hard work. I was told that if I draw water the way I did, it would take all day! 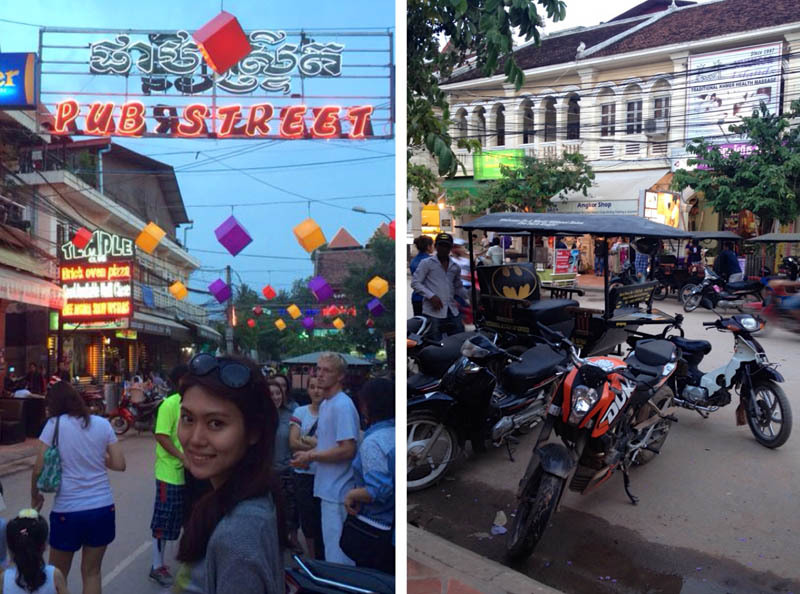 A vibrant street with plenty of restaurants, street food stalls, shops and art galleries. There’s always something new to discover! 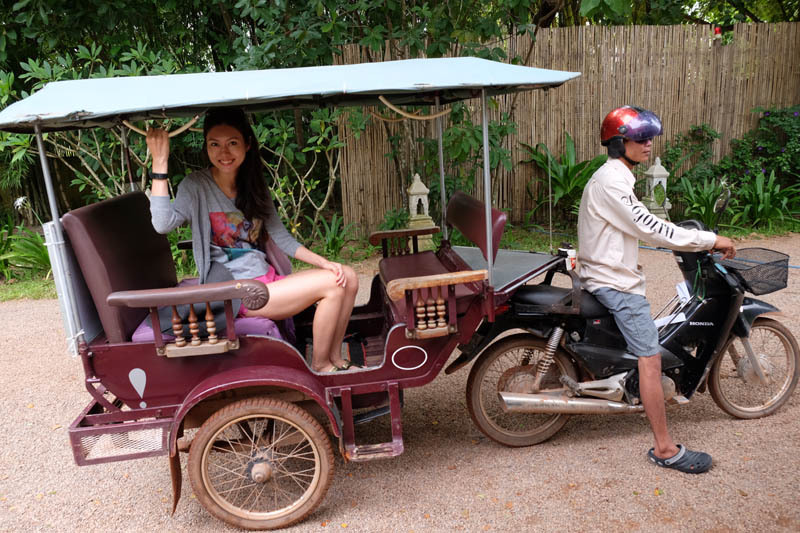 This is my favourite mode of transportation in Siem Reap. The drivers are always friendly and the bumpy journey reminds me of theme park rides! If there’s a number 16, it would be eating homemade ice-cream at the Hyatt’s Glass House. We’ll surely be back!